This select line of supplies and testing instuments is for the offset printer. These products include monitoring devices and gauges to solvents and clean-up pads. For an additional selection of high quality prepress and pressroom tools, refer to the GRAPHIC ARTS SUPPLIES SECTION and choose from a complete line of inspection tools, cutting knives, etc. 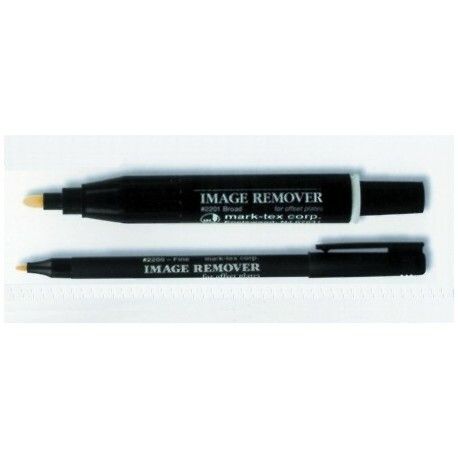 Broad and fine line METAL PLATE IMAGING REMOVER PENS allow you to remove images from metal plates while on-press. Felt tips will never scratch or affect plate coating. 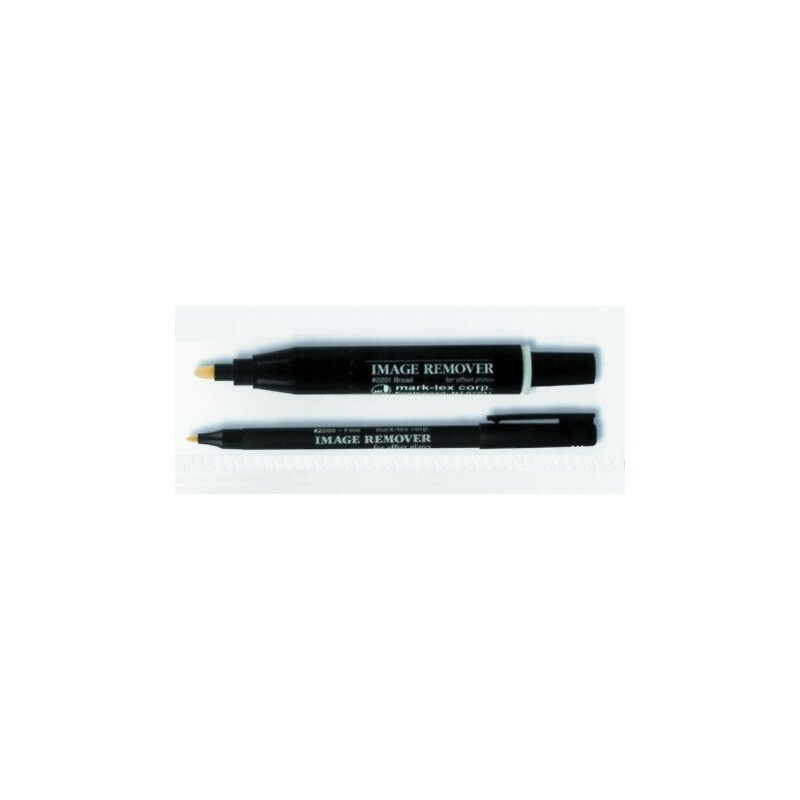 Available in fine line and broad tip. Ergonomic body.